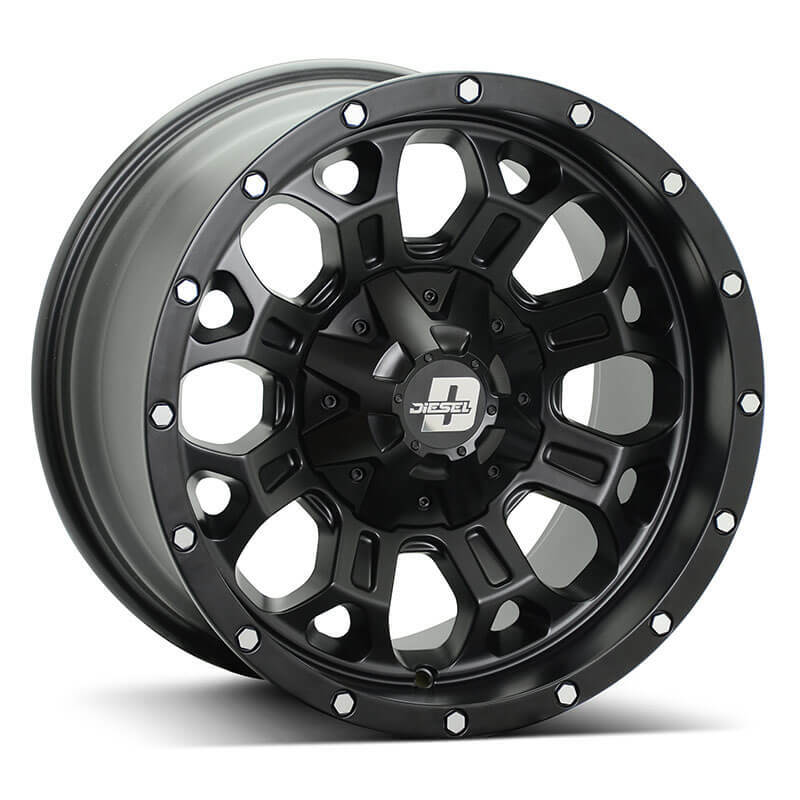 This wheel is the latest design to arrive in the diesel range and is available in two sizes 17x9 and 20x9.5 and also two finishes black matt and machined face black matt with bronze tint. It has maximum dish but also the right offsets to keep within the guards of most 4x4 vehicles. SSW Rspec has arrived in 19 inch hyper silver with a wide variety of fitments but the main one being 19x9 and 19x10 staggered for the new Ford Mustang Gt. Diesel Wheels have arrived and we are the exclusive distributor for this product in Australia. These wheels are all load rated and dedicated to 4wd vehicles. These wheels have European influences and fit a vast variety of euro vehicles. Rspec wheels come from our Radar series product which is produced in our own SSW factory under TUV certifications and guidelines. SSW wheels are proud to announce the arrival of its newest 4wd range Diesel wheels which will be arriving in October. This range isn’t for the faint hearted with its bold and tough designs for Rangers, Bt50, Hilux, Colorado, Dmax, Jeep, Amarok and many more. Stamford Tyres International along with our own brands SSW Wheels and Firenza Tyres took part in our yearly tyre expo in Singapore 21-23 March 2017, which saw wheel and tyre dealers from all over the world come to visit.